Manuscript All papers should be in English. Papers should be typed double-spaced with 1-inch wide margins on all sides with full title, abstract, abbreviated title for running headlines (up to 35 characters), 4 to 6 keywords, references and figures. Except for reviews, each paper should be presented in the order of Abstract, Keywords, Introduction, Materials and Methods, Results, Discussion, Acknowledgements, References, Tables and Figure captions. References in the text should follow the APA pattern of article writing. The title page should include, in addition to the title, the surnames and initials of each author followed by his or her department, institution and address including postal code and country and email address. Please indicate the author for correspondence, whose mobile number and E-mail ID should be included. The present address of authors should appear as a footnote if different. The title page should also indicate the number of manuscript pages, figures and tables. Keywords Four to six keywords should be listed in alphabetical order at the bottom of the title page. Abstract This should be no more than 200 words in length, should summarize the significant findings and should not contain any references. Text headings Text headings should be typed as FIRST-LEVEL HEADING, Second-Level Heading, Third-level heading. Bennett, R., McColl-Kennedy, J. R. and Coote, L. (2007). Involvement, satisfaction, and brand loyalty in a small business services setting. Journal of Business Research, 60, 1253 – 1260. Schindler, A., Thomasius, R., Sack, P. M., Gemeinhardt, B., &Küstner, U. (2007). 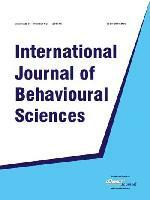 Insecure family bases and adolescent drug abuse: A new approach to family patterns of attachment. Attachment & Human Development, 9, 111-126. Wills, T.A.,&Hirky, A.E. (1996). Coping and substance abuse: A theoretical model and review of the evidence. In: Zeidnery, En. M., &Endler, N.S., editors. Handbook of Coping: Theory, Research, Applications. John Wiley & Sons, NY. 279-302. Figures All figures should be numbered with consecutive Arabic numbers, have descriptive legends, and be mentioned in the text. Keep figures separate from the text, but indicate an approximate position for each figure in the margin. The quality of line drawings and photographs must be of high enough standard for direct reproduction. Photographs intended for halftone reproductions must be good glossy original prints of maximum contrast. A list of figure legends with relevant figure numbers be typed on a separate sheet and included with the typescript. Tables Tables should be consecutively numbered with Arabic numbers and have a clear descriptive title at the top. Explanatory table footnotes (designated by superscript lower case letters) typed below the table are acceptable. Abbreviations and Conventions Use of abbreviations should be as per the Systeme Internationale symbols. Submission Manuscripts should be submitted online at http://publishatcj.com where further information on the process of submission and registration is available. All Correspondence and Status relating to the submission will be available online on this system. One hard copy of the manuscript, should also be sent at the below mentioned address. On the back of diagrams and photographs running title of the paper and name of the author (s) should invariably be written with lead pencil. In case of any problem relating to submission, you may write us at info@PublishAtCJ.com . Plagiarism The papers are required to be plagiarism checked as per International requirements. Review Policy This is a peer reviewed journal with double reviewing policy. The editorial board members in relevant area of expertise will review the manuscript through Online Editorial Management System (OEMS) at http://publishatcj.com. The comments of the reviewers are then communicated to the authors. Minor revisions may be handled by the Editorial Office. It is a good idea to get your paper refereed by one of your colleagues before submitting to the Journal. However, the final acceptance of the article will be at the sole discretion of the Chief Editor. Copyright Submission of a paper will be taken to imply that it represents original work not previously published, that is not being considered elsewhere for publication, and that if accepted for publication, it will not be published elsewhere in the same form, in any language, without the consent of the publisher. It is a condition of acceptance by the editor-in-chief of a typescript for publication that the publishers automatically acquire the copyright of the manuscript. The statements, inaccurate data, opinions and views expressed by the authors in articles are of their own and not of the journal. The editors or publishers of the journal will not be responsible for the authenticity of data and results drawn by authors. Reprints The corresponding author will receive an electronic reprint of their paper for non-commercial use. Printed reprints may be purchased. Publishing Policy There are no page charges to individuals or institution for publishing their papers. However, if your paper is accepted for publication, journal issue charge has to be paid; in order to receive a print copy. To promote the journal, authors must recommend the journal in their institutional library; for greater access and benefit to other researchers, and also to increase citation of the article in the journal.